I LOVE this photo of my sweet hubby and son hiking up a mountain...they have always been "best buds" and have the best time when they are together! 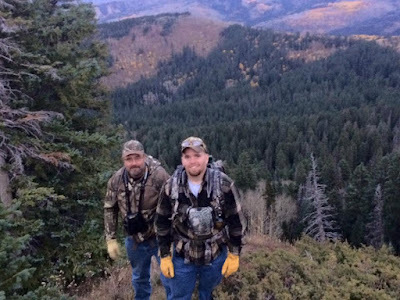 Justin snapped the next photo while on the look-out for an elk. 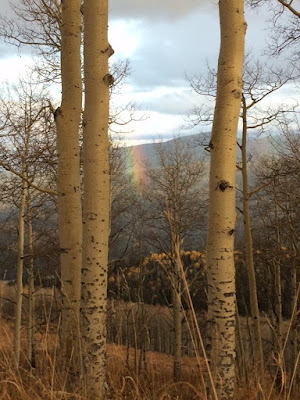 He noticed the rainbow between the aspen trees, and took the pic. Right after he snapped the pic, a large bull elk came into view, and he harvested it! 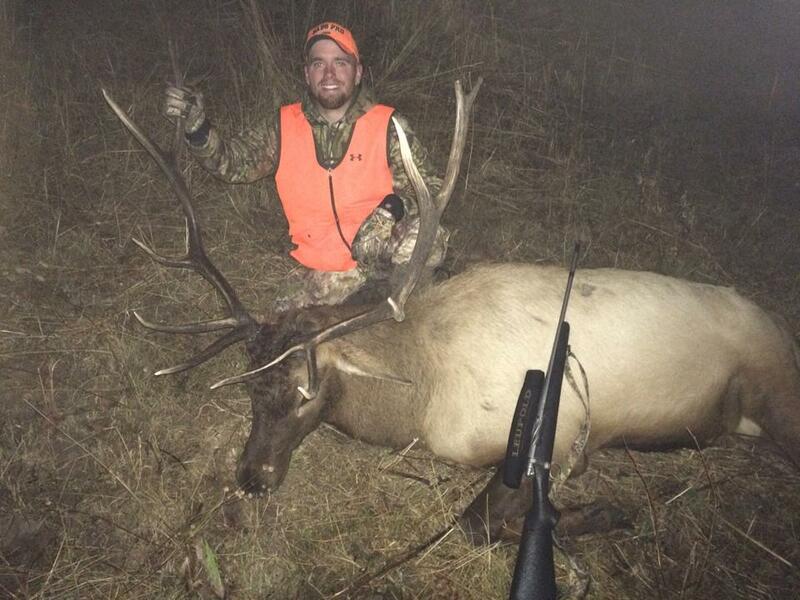 Here's a pic of Justin with the large, 6X6 bull elk that he took - love that smile!